Through a mutual friend, but the first time we really started connecting was on a hunting trip in the Kaimanawa’s we did together, along with another friend. Why did you choose the location you did? Chris is involved in fly fishing and we both hunt, so the neighbouring Kaimanawa Ranges has always been a pretty special place to us. Even more so when at the end of the very first hunting trip taken together, right before we became a couple, we hiked out of the public land and past Poronui to get back to the car. We both remember seeing Blake House in the distance and it seeming so magical, all the way back then. When we got engaged it just seemed like there was nowhere else more suited to us. Did you have any concerns about the day beforehand and, if so, how were they overcome? We were aware that the logistics of getting all our guests to somewhere remote like Poronui might be tricky, but it became evident pretty quickly that Claire and the team are total pros and the operation ran like clockwork. Who helped you organise your big day? Who was involved in the planning? 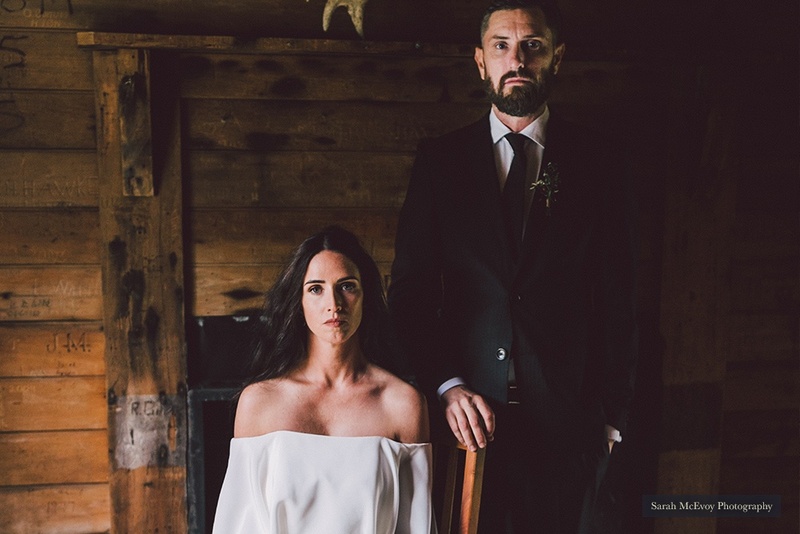 We didn’t have a wedding planner or stylist, so really it was just Chris and I liaising with Claire and all the other incredible vendors we had involved. What was your favourite part of the planning process? The ‘research’ trips we did to Poronui in the year prior. It was amazing visiting Blake House exactly a year before the wedding, so we could see what the property/trees/landscape looked like at that time of year. Oh, and doing wine tastings to choose our alcohol wasn’t too bad either! What’s your most precious memory of the day? Wow, where to start. Probably right after the ceremony when we, along with our photographer, escaped to take photos around the property. It was really nice to have some quiet time together in the midst of the wedding, and do so in such a dramatic landscape. What did Poronui contribute to the memories of your wedding day? Other than the place itself being so beautiful and providing the most stunning backdrop, it was really precious being to take all of our loved ones somewhere so remote – but also be somewhere so luxurious. Also, the guidance and assistance from Claire and her team was invaluable. Do you have a favourite wedding photograph, and where was it taken? We love them all, but the photos taken in front of the stand of pine trees are pretty special. Also, overlooking the valley in front of Blake House. Was there anything you would change? E.g. the one thing you might have done differently? It would have been nice to stay an extra night at Poronui the night after the wedding, just to unwind a little and take it all in without the pre-wedding nerves getting in the way. What sort of feedback did you get from friends and family? People were blown away by the location. So many guests said to us afterwards ‘now we understand why you guys spend so much time in this part of New Zealand’. It was like sharing a little secret with all of our nearest and dearest. People also actually loved having some time off the grid, with no phone reception. We had a captive audience! Would you recommend Poronui to other couples? Absolutely. There’s nowhere else like it on earth. Are you in love with the idea of an unplugged wedding? 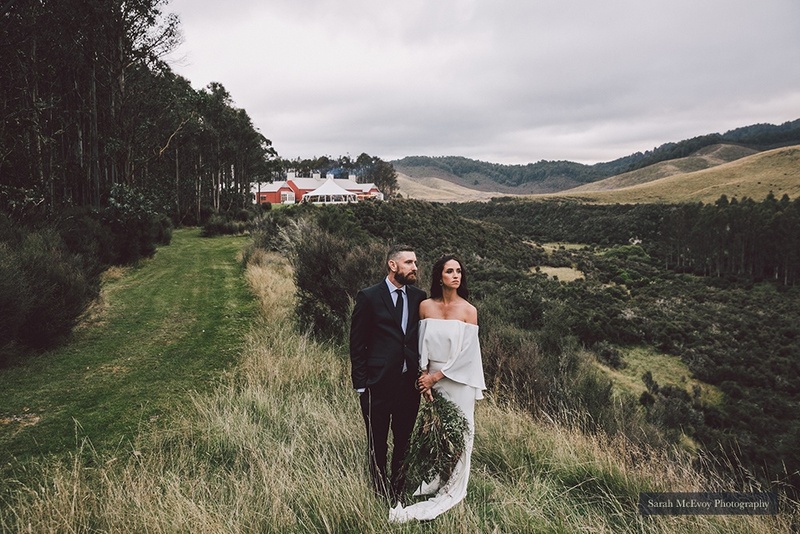 Contact Claire and the team today on 07 384 2080 or email info@poronui.com to book your special day in our remote slice of pure New Zealand wilderness.